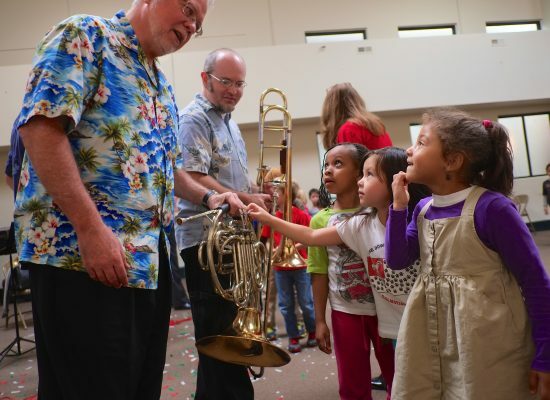 Entering its 13th year in 2017, “Brass under the Big Top” is an acclaimed education program that features the Giannini Brass in collaboration with New York-based circus performer Richard “Dikki” Ellis. The program is a 45-minute high-energy romp that showcases the Giannini Brass performing interactive selections with Dikki. Music selections include: circus marches by Karl King; “Big Shot Brass” by NC composer Russell Peck; “Farandole” from L’Arlesienne by Bizet; “Sunflower Slow Drag” by Scott Joplin; the “William Tell” Overture by Rossini, and more. Young audiences are enthralled by Dikki’s display of talents, including magic, juggling, stilt-walking, and humor. A North Carolina native and UNCSA alumnus, Dikki Ellis is a former member of New York’s Big Apple Circus, and a founding member of the Big Apple Circus’s Clown Care program. Dikki spends five weeks every school year teaching at the UNC School of the Arts, where he trains HS drama students to participate in UNCSA’s ARCH (Artists Reaching Children In the Hospital) program at Brenner Children’s Hospital. 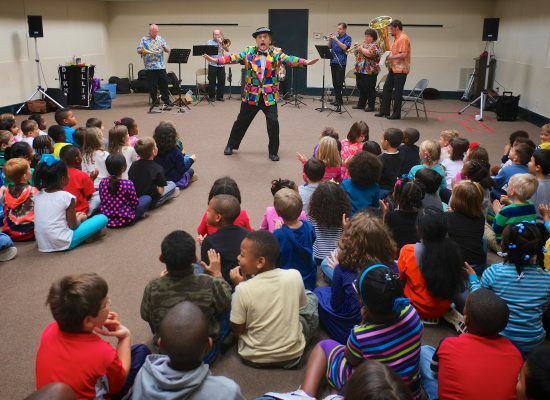 Since 2005, the program has reached thousands of young audience members in the Winston-Salem Forsyth County schools, as well as students in Catawba, Randolph and Mecklenburg Counties. The program targets grades K-5. 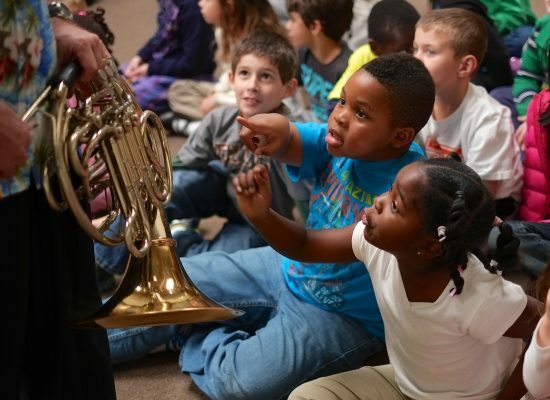 Brass Under the Big Top is supported by the Arts Council of Winston-Salem & Forsyth County - Wells Fargo Arts-In-Education grant. Brass Under the Big Top performance at the Downtown Elementary School, Winston-Salem, NC.